The UAE Cabinet on Sunday adopted an amendment to the country’s Commercial Agencies Law, which would allow trade agencies to convert into public shareholding companies. Trade agencies are a popular method of doing business in the country, created when a UAE entity, typically a family-owned business, entered into an agreement with international agents or distributors. The change in the law would allow trading agencies to raise fund from local stock markets. Investors said the amendment would help lift local markets. “The move to [Initial Public Offering] will create more investment opportunities and the secondary markets will get a boost in the longer term ... active secondary and primary markets complement each other. Attracting FDI should be one of the priorities and the government is working towards it as it work towards diversifying the economy and ensures broad based growth,” Faisal Hasan, head of investment research at KAMCO Investment company, told Gulf News. 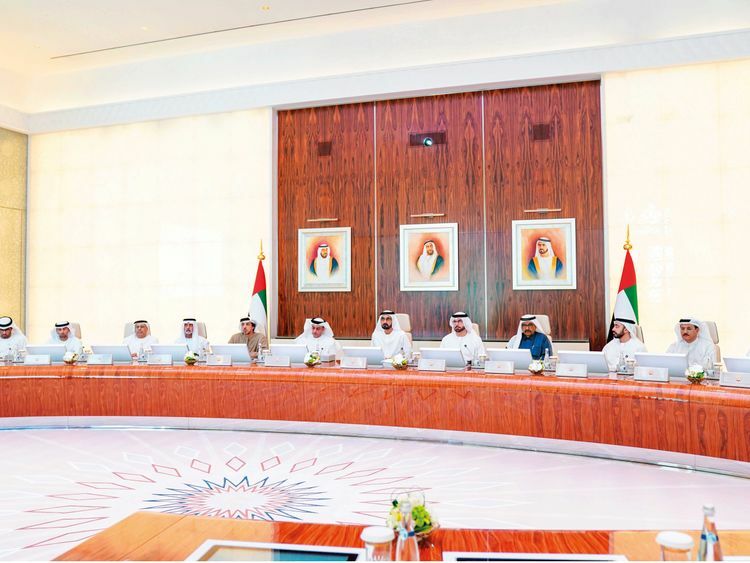 The UAE Cabinet approved the formation of a Foreign Direct Investment Committee, to be chaired by the UAE Minister of Economy, and the membership of representatives from related government agencies. The committee will look into applications for setting up FDI projects in economic sectors and business activities in the country. The Cabinet also endorsed setting up a unified GCC payment system linking GCC’s payment systems and mandating monetary institutions and central banks in the GCC to own, manage and finance projects through an independent company.